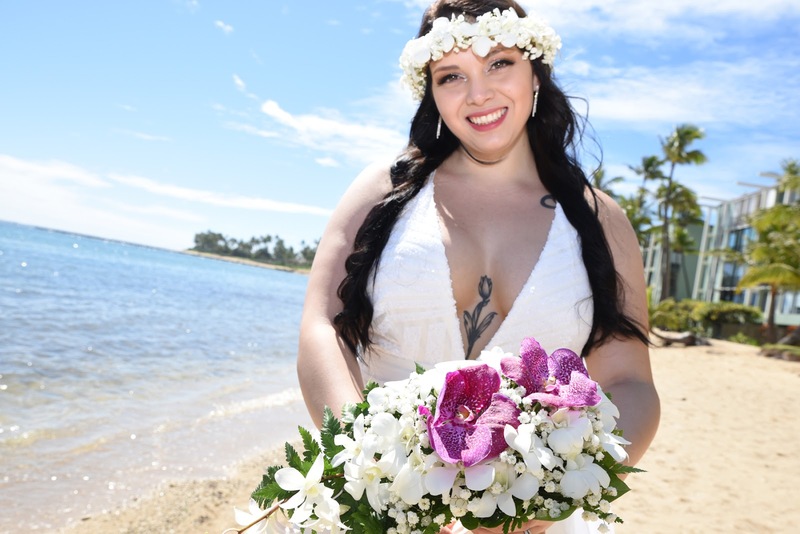 Jessica holds her Orchid Bouquet at Kahala Beach. 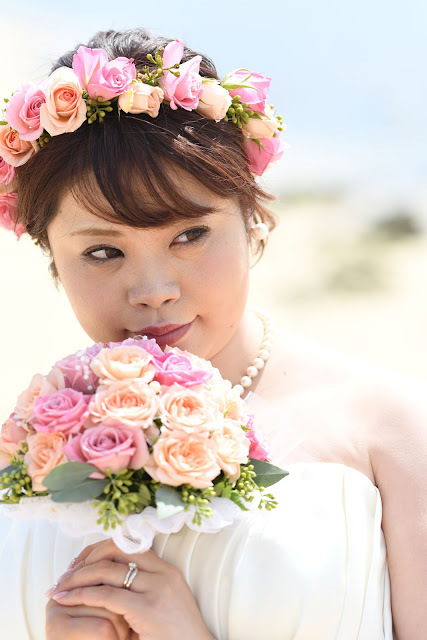 This is our basic Bride's flower bouquet in some of our simple wedding packages. Other bouquets also available for an upgrade. Beautiful silk-flower yellow plumeria bouquet. 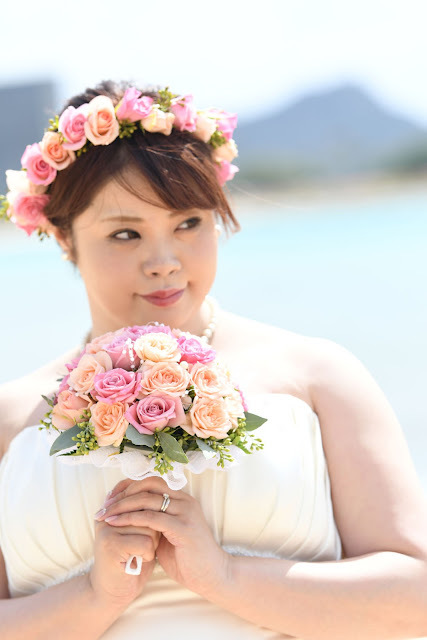 Have you decided on what kind of flower bouquet you want at your wedding? 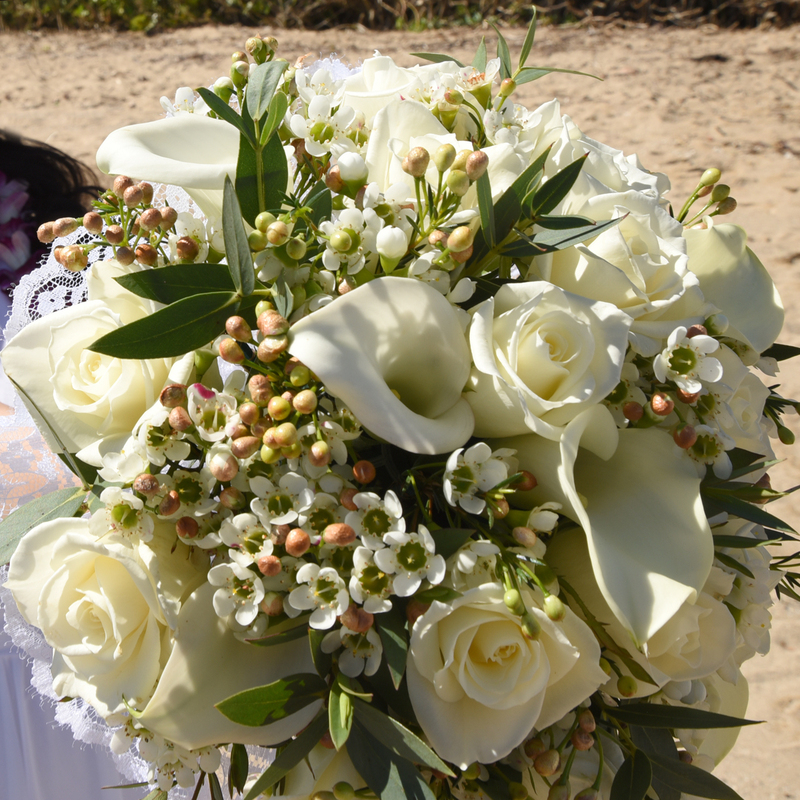 Nice mix of white roses and calla lilies in this lovely Bride's bouquet. 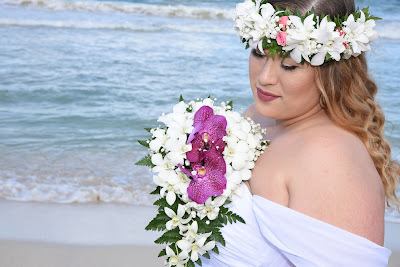 Photo location at Waialae Beach Park. 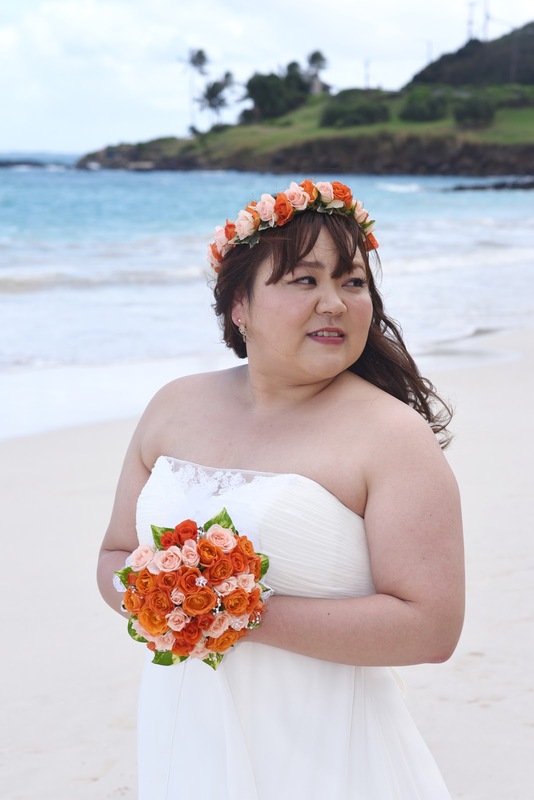 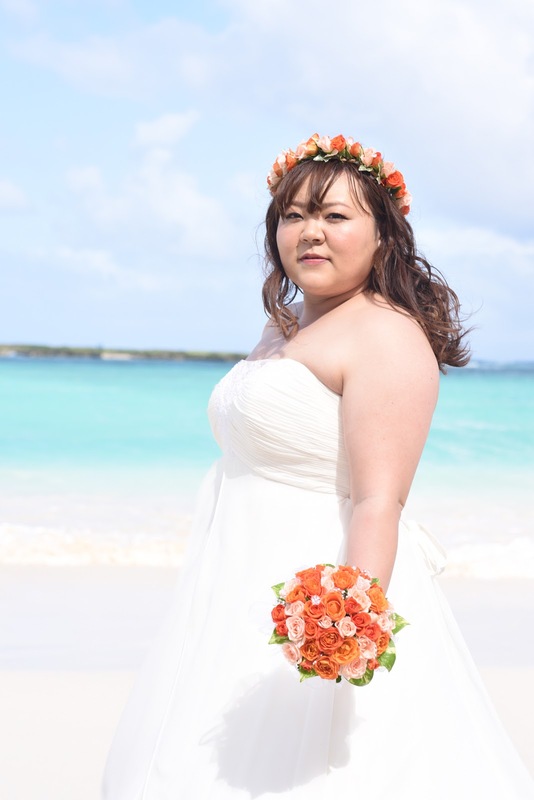 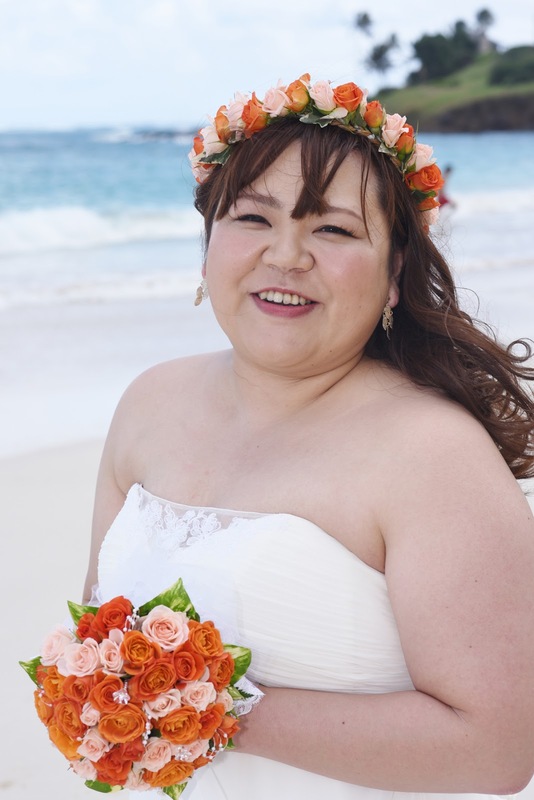 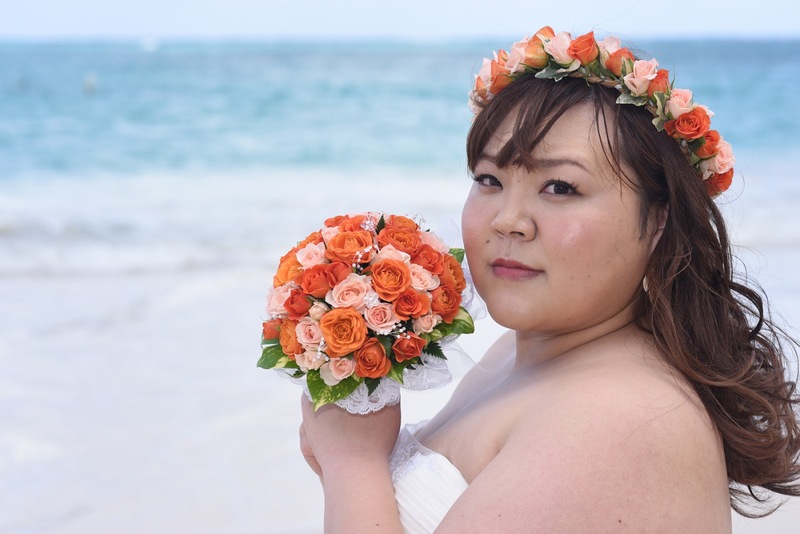 Bride holds a beautiful rose bouquet with orange and pink roses and matching haku lei bride's flower head piece. 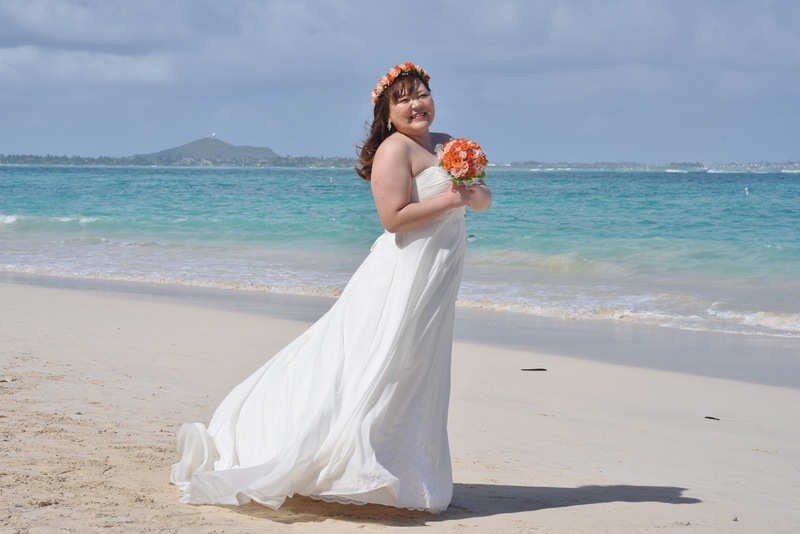 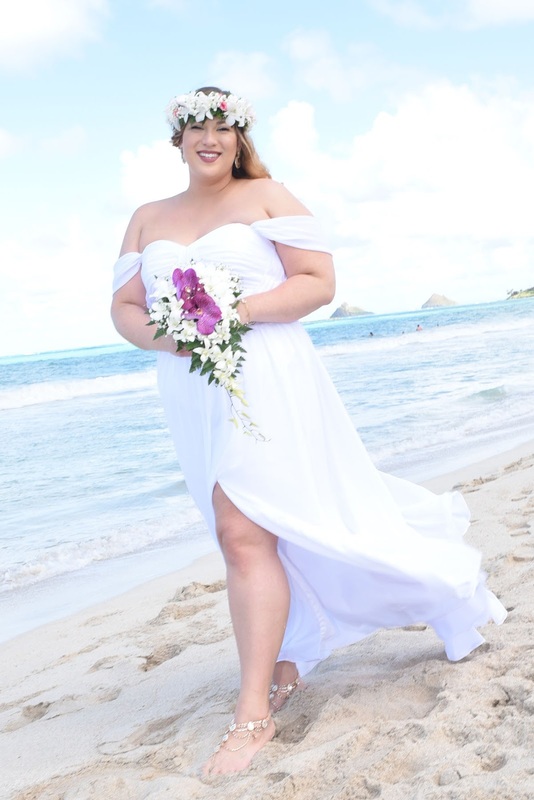 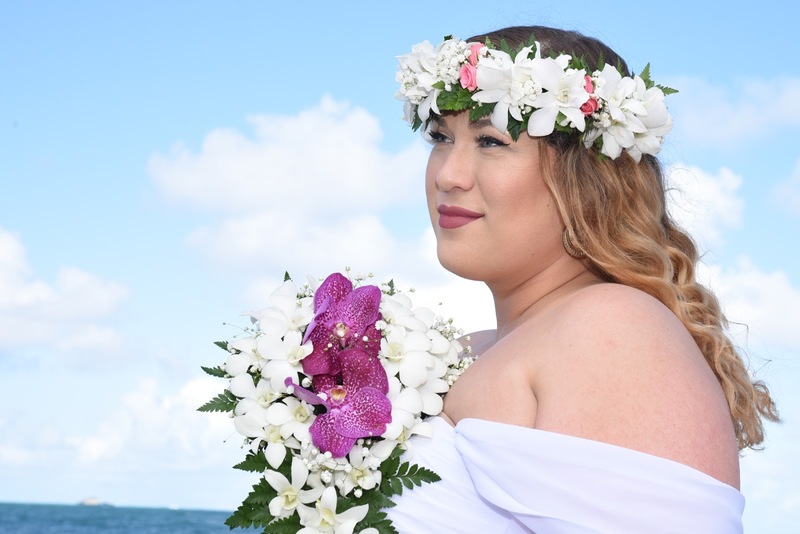 Wedding photo shoot at Kailua Beach Park.